These are quite easy cake recipes will give you the most delicious tea time treats! The French have the most wonderful gateaux, some elaborate and some quite simple, but all, so delicious! If you have ever seen the wonderful patisseries in France you will know what I mean when I say they are truly magnifique! So here are some favourite French cake recipes to give your friends and family lots of tea-time treats. Of course if you want something special for a tea party or a birthday or celebration, they will be the perfect addition to your table. On the other hand, who needs an excuse to make these gorgeous cakes – they are a treat for you right now! A chocolate cake to please all chocoholics! This is a recipe you can make for a special occasion or just when you want to indulge yourself. Think Valentine's day – this is so romantic – a cosy meal for two with a mouthwatering chocolate cake to finish off with. 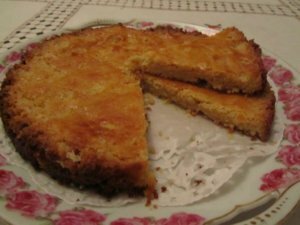 Breton flat cake, known as Galette Bretonne, is traditional throughout Brittany and is a delicious rich buttery cake with a crunchy texture. It is so good and very easy to make at home. Great as a dessert or with afternoon coffee! This Chestnut Gateaux (Gateâu aux Marrons) is quite special and would be a real tea-time treat for your family and friends. It would also compliment any table for parties or special occasions and is a welcoming change at Christmas instead of the usual cakes and pastries. This is a wonderful French gateaux worthy of a place on your table. 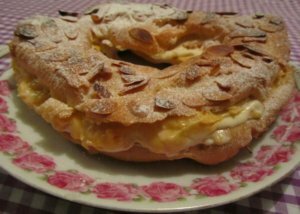 It is made from a light choux pastry with a creamy praline flavoured filling. Truly scrumptious! This French chocolate cake is just so delicious with a texture almost like fudge. 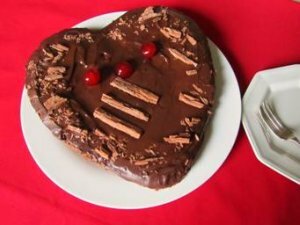 It is the chocolate cake for chocoholics and you will want to keep this recipe secret! 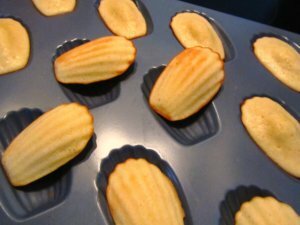 Little French Madeleine cakes are light sponge cakes made famous by Marcel Proust. They are easy to make and everyone will love these for a tea-time treat. A Millefeuille – a 'Thousand leaves' – is a French patisserie classic and a cake you will see in most French restaurants. Usually is is made as one large cake, but this is most difficult to cut. 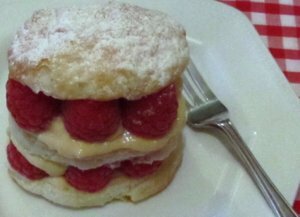 So here is a recipe for small millefeuilles that are easier to make and avoid a catastrophe at your table! French religious cakes are seen all over France but more especially in Paris. 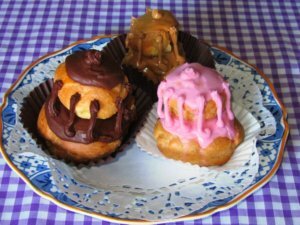 They are simply choux buns with flavoured custard fillings and covered in icing. They are said to look like nuns! Once colured in a violet colour of the Cardinal's robes they are now also made in chocolate flavour,rose flavour and coffee. They are easy to make but you need to make them when you have time as you need patience!